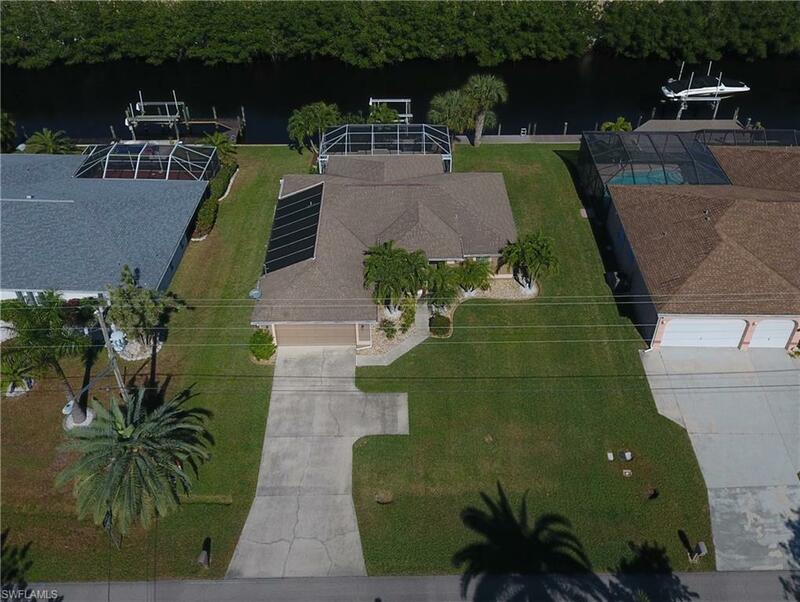 Here is your Direct Gulf Access Pool Home with NO Bridges to Open Water! City Utilities are In and Paid also. Enter the Home thru the Double Door Entry from a Screened Front Porch that can be opened for a great breeze all year round. The Living area is large and open to the Kitchen and Dining Room. The whole house is freshly painted and you'll love the large Laundry Room off the Kitchen. This is a split Bedroom plan with a spacious Master Bedroom with Sliding Door access to the Pool, a Soaker Tub, Dual Sinks and a Shower. But the best part is the backyard Oasis. Enjoy a Water Feature with the Solar Heated Saltwater Pool. Great for entertaining. The Private Dock features a 10,000lb Boat Lift. 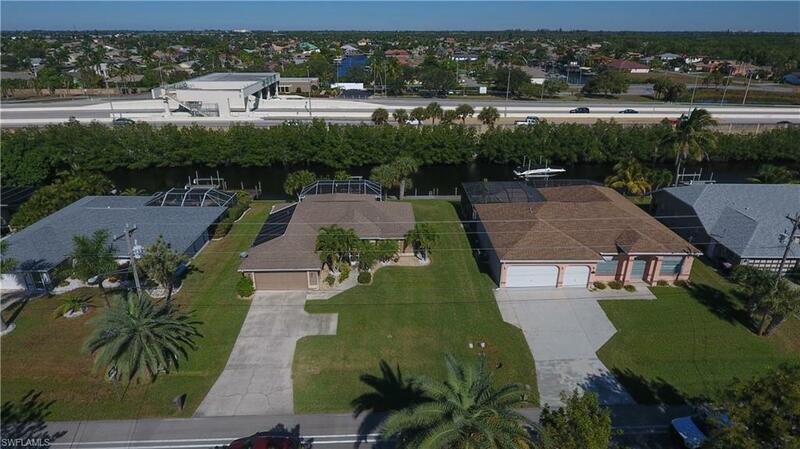 Store your Boat in your backyard with NO Bridge and just minutes to the Caloosahatchee River down to the Gulf of Mexico! 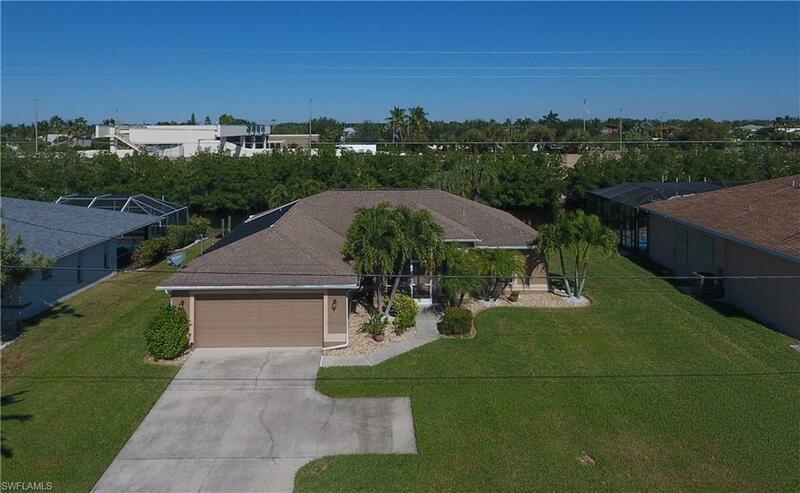 Schedule your showing today.Great Central Location close to Schools, Parks, Churches and access to Fort Myers and the World Class Beaches of SW Florida! 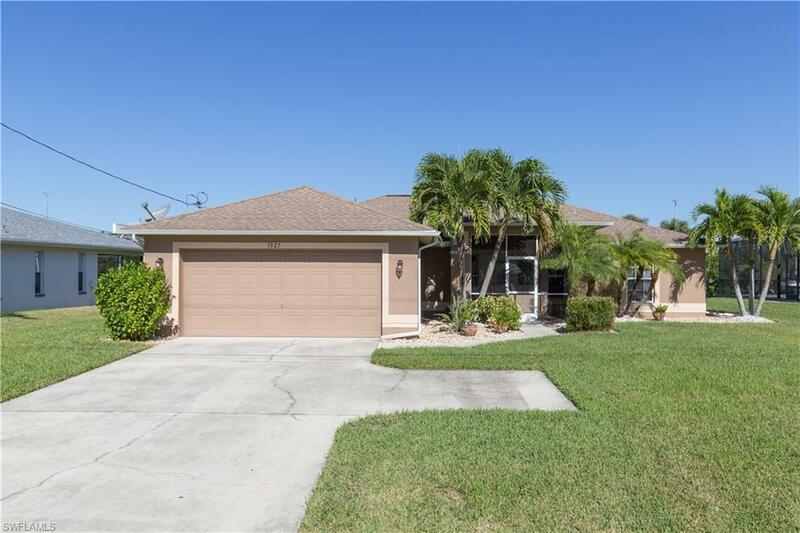 Listing courtesy of Barry Goettemoeller of Re/Max Realty Team.